SL Chasse Steel is currently seeking experienced Estimators and Steel Erectors for our growing organization. Please email resume to info@nopeslchassesteelfab.com or fill out an application online or at our Hudson, NH facility. SL Chasse Steel provides structural steel, misc metals, fabrication & erection to customers throughout New England. SL Chasse Steel supplied structural steel and steel erection to this beautifully designed building in Manchester, NH. SL Chasse Steel supplied structural steel and steel erection for this new Marriott Courtyard in Portland, ME. 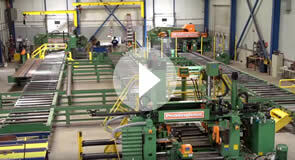 SL Chasse Steel is a full service structural steel and misc. metals supplier and fabrication & erection company providing services to commercial customers in New Hampshire, Massachusetts, Maine and all of New England. is a proud AISC Certified Steel Fabricator.